Traveling with kids can be stressful, but traveling with a preschooler can present some unique challenges. They aren’t usually content to just sit or sleep and they don’t quite understand the concept of patience. 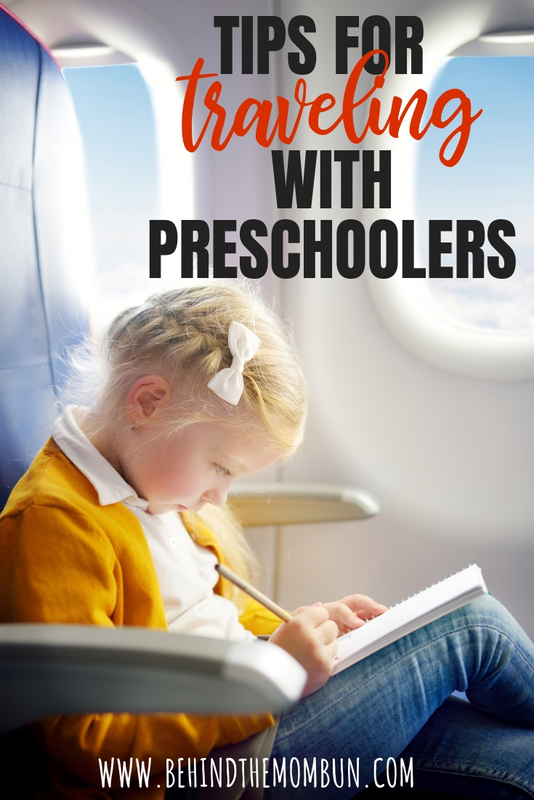 If you have a spitfire of a little girl who is full of sass ( I cannot be the only one), then traveling with a preschooler can be especially stressful. There are some things you can do to minimize the chaos that can sometimes come with traveling with a preschooler. This is useful if your toddler has an item they cannot sleep without, or certain medications, etc. Make a list ahead of time and pack the easy stuff prior, so you aren’t running around the night before. 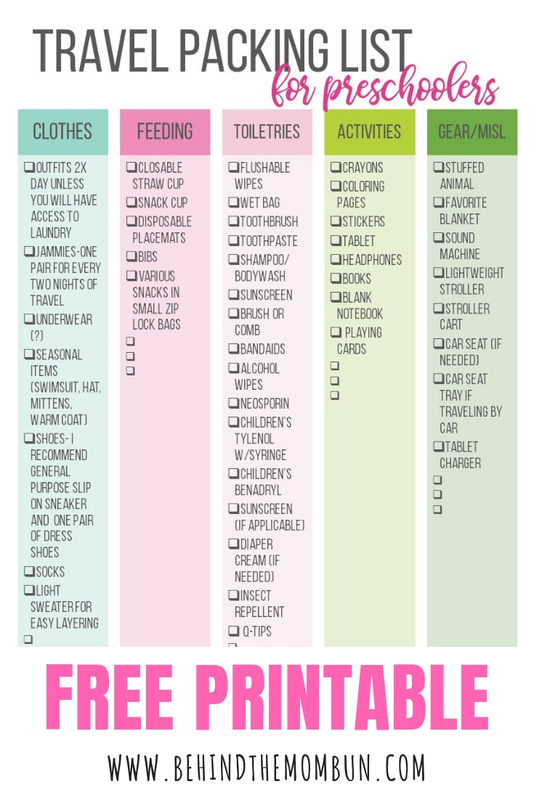 Use a checklist to make sure you haven’t forgotten anything. Whether it’s a suitcase or a backpack, it’s more helpful if you get one that fits their size; they are more likely to want to help carry it! That alone is super helpful since the last thing a mama needs are more things to carry. We could not have lived without this car seat transporter when we were traveling with our toddler/preschooler. We strapped her into her car seat and rolled her through the airport. When we boarded the plan, we slipped it into a gate check bag. It was there waiting for us when we deplaned. 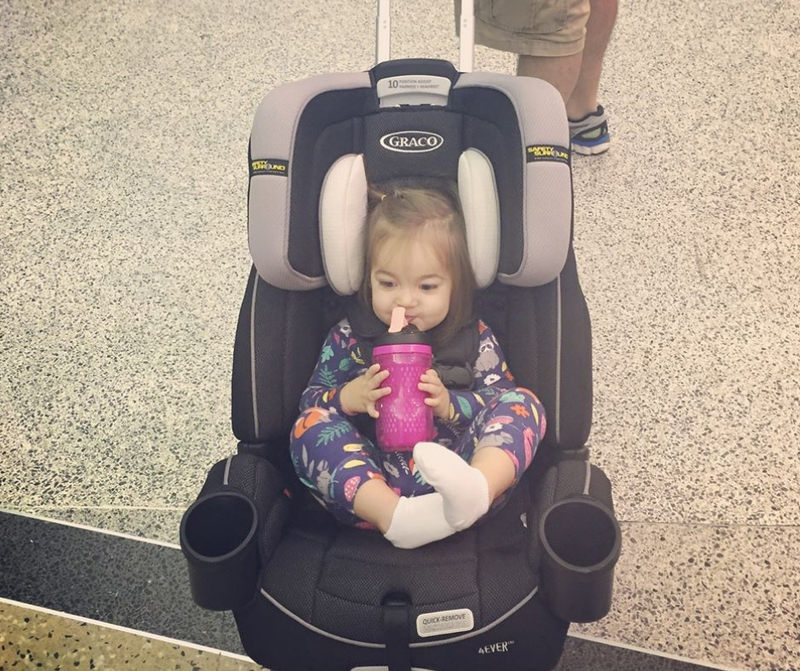 Our toddler cruising through the airport in carseat attached to the Brica Roll n Go Car Seat Transporter. Activities: Gotta keep’ em busy! • Books, books & more books. You may have to limit the number you bring if traveling by plane. Maybe let your kiddo pick a couple from their stash, and you order a couple of special ones for the trip. One of these stories about going on a plane is sure to please your little traveler. • Some of their favorite toys (avoid bringing too many, it becomes a pain). • Snacks: Snacks almost always make anything better, am I right? It may be helpful to pack a cooler with pb&j’s, lunchables or similar foods type, if you’re road-tripping, that is. Items like fruit snacks and crackers work too! Keeping a toddler happy and full is the goal! If you are traveling by plane, consider going peanut free for our friends that are flying with allergies. • Cozy Clothes: Who wants to sit for an extended period in jeans? Not me!! So, think about your little one whenever dressing them; jammies or linen pants are going to be the most comfortable options. • Night Owl: Traveling in the evening may be the best bet in hopes your toddler may just sleep! If this isn’t possible, it’s no biggie because all these other excellent tips should make it go smoothly! 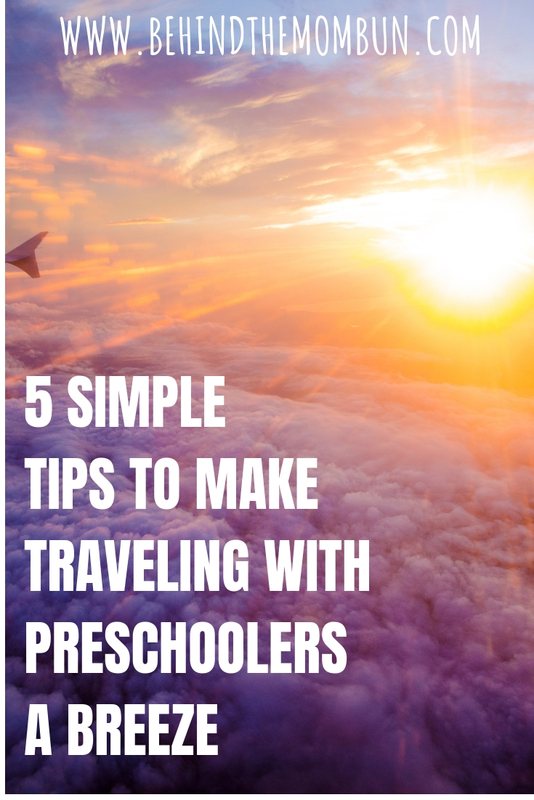 Traveling with a preschooler doesn’t have to be more stressful than it naturally is. I find that most of my frustration during family vacations come when I expect our trip to go one way and it goes the opposite. Be positive but be flexible. Kids pick up on our stress which causes them to stress. Since they are tiny humans, they don’t know how to handle this stress, so it usually shows itself as a tantrum at the most inconvenient time. The post Make Traveling with a Preschooler A Breeze appeared first on Behind the Mom Bun.